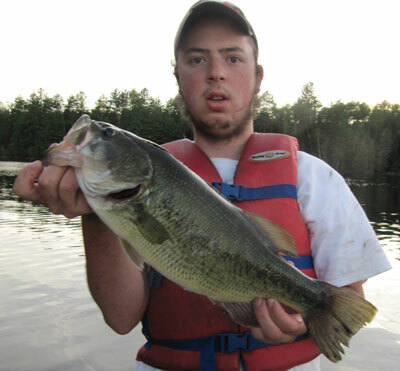 Book your bass fishing adventure at Mijocama outfitter today! 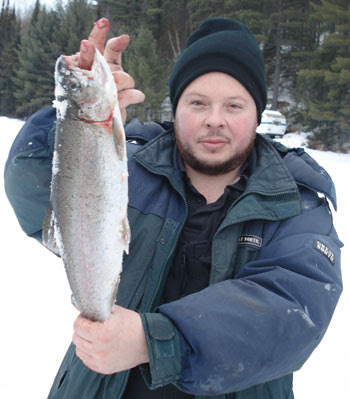 Mijocama outfitter is one of my favorite outfitters in the province of Quebec. 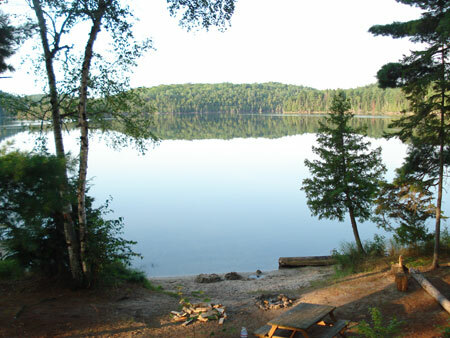 Located about 330 KM NorthWest of Montreal in the Outaouais region of Quebec, it's an easy drive from home. 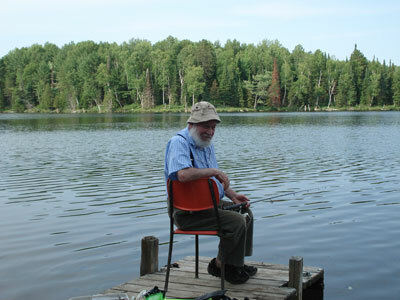 I've been going to Mijocama at least once a year since 2002, and have been there for over 20 fishing trips since then. 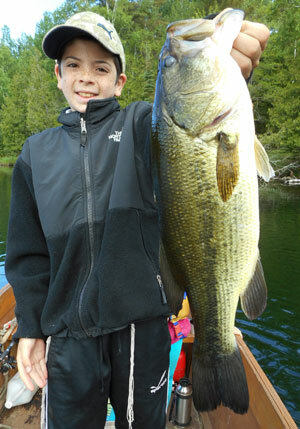 Main target species is Largemouth bass on Giles lake, which is the main lake where the camp and chalets are located. 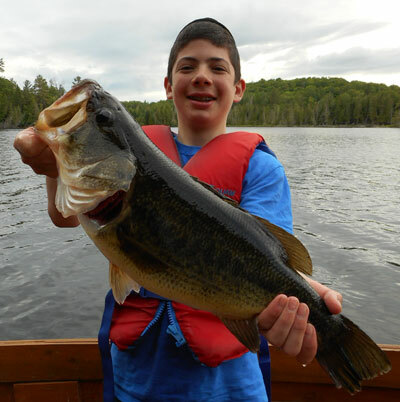 Along with two very small neighboring lakes located on Mijocama's exclusive territory, these are the only lakes in the region that have Largemouth bass, and probably one of the only outfitters in the province to offer largemouth bass fishing in a pristine forest setting. 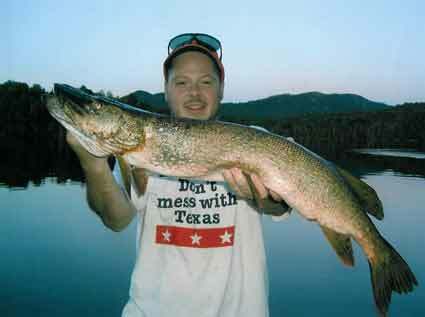 Day trips to other lakes on their territory for Northern pike are available, as well as an option to fish for a mix of wild and stocked rainbow, speckled and lake trout. 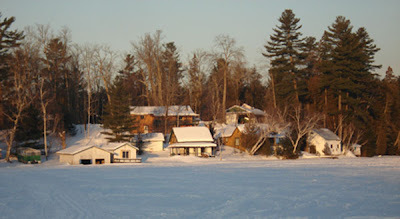 Ice fishing including heated shanties, snowmobile transport and hole drilling is available as well. 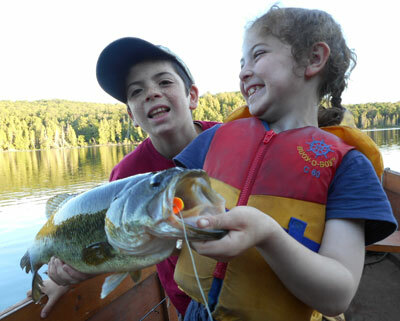 Mijocama is a family friendly outfitter, I've been taking most of my kids their every summer from the age of 5 and up. 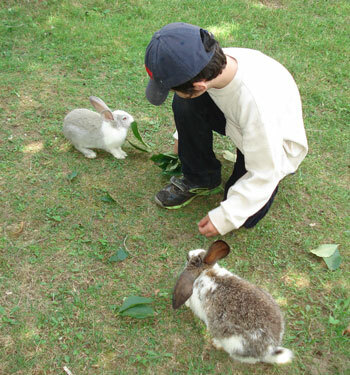 In addition to some great fishing, they have a nice sandy beach, a small park, and lot's of domestic rabbits running around for the kids to feed. Nice variety of wildlife is abundant. 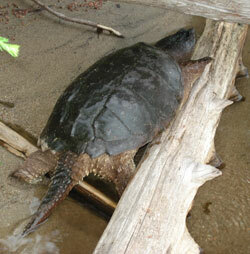 We often see deer, racoons, and beavers, in addition a large variety of birds, turtles and some harmless snakes. Booking early is the key to getting a good spot at Mijocama, I typically book 1 year in advance to ensure availability during peak season. 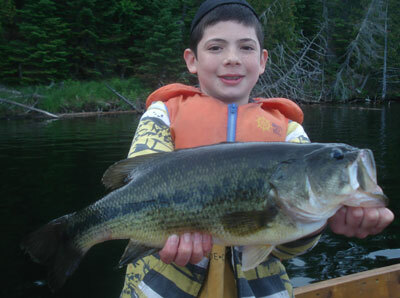 Best periods: Mid June to October for largemouth bass, May thru November for northern pike, January to June for trout. Rates: Low budget 2 person cabins from $75 per night, to luxury chalets for 20 people at $600 per night. Boats: 15/16 foot motor boat rentals start at about $50 per day, kayaks, canoes available. 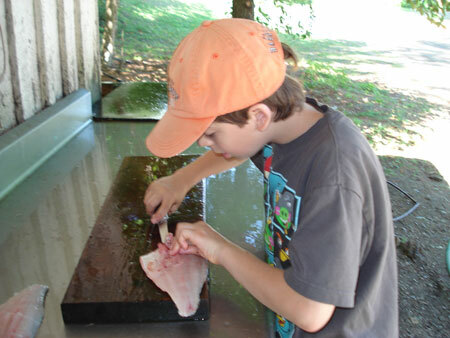 Other services: Campsites available staring at $20 per night, bait, tackle and fishing guide available as well. Contact Mijocama outfitter by clicking here.